“Guess you never expected a Dutch singer/songwriter to write and record an album based on stories from Middleborough”. Frankly I would have said no to such a suggestion, but that was precisely the line that greeted me in last Friday morning’s email. 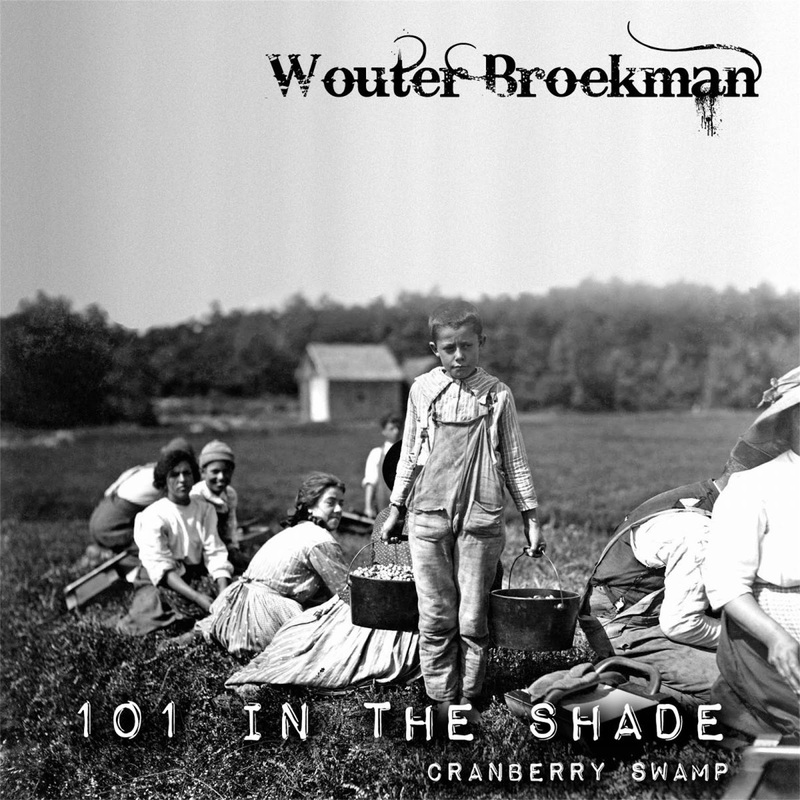 Inspired by articles about Middleborough history posted on Recollecting Nemasket, Dutch independent singer-songwriter Wouter Broekman has released two songs, “101 in the Shade” and “Cranberry Swamp”, as a double A-side single and is currently at work completing a fourth album based upon historical Middleborough material. While the international appeal of Middleborough history seems at first remarkable, that Broekman has chosen to draw upon Middleborough history is unsurprising in the final analysis. Both historians and songwriters share a common desire to tell stories. And while local history is often perceived as narrow and very specific in regard to geographical location, like history in general it is about documenting and understanding the human condition over time. Localization of history simply makes the themes it explores more accessible, immediate and relatable to local audiences who can understand them better because they know the people and places involved. In the end these themes remain universal and transcend locality, having a potential appeal to a global community as demonstrated by Broekman. The second track on the single, “Cranberry Swamp” takes it lyrics from a poem simply entitled "Cranberry" that was originally published in the mid-19th century at a time when commercial cranberrying was in its infancy. It was republished by Recollecting Nemasket in 2009 where Broekman discovered it. As alluded to in the poem by the unknown author, children were involved in harvesting the berry and some local schools like that at South Middleborough were closed in September in order to free the children to work on the bogs or, as they were known in mid-19th century parlance, "swamps". Away to the Cranberry swamp. When frost and the snow come on. And last till the winter is o'er. With proofs of the goodness of God. To accompany the poem, Broekman has written a distinctly American-feeling folk tune that is beautiful in its simplicity and ideally suited to the lyric. The Ocean House was a ramshackle building located on the west shore of the mill pond at Wareham Street, its name a possibly satiric barb aimed at luxury hotels which were then in vogue at the seaside. For local Middleborough children without means, this was their ocean-side alternative. The Ocean House proved popular with neighborhood children who would dive from its open windows into the mill pond below. This activity ended, however, following the tragic 1905 death of six year old Wallace Spooner who while engaged in diving from the building struck his head upon a stone wall, fell into the river and drowned. Nothing, however, was done with the property until 1908 when the Middleborough Board of Health condemned the structure which was demolished two years later in spring of 1910. Broekman currently performs regularly in the Netherlands and always includes both “101 in the Shade” and “Cranberry Swamp” in his set, along with others he has written but yet to record. He describes his songs as having "clear influences of folk, country and Americana with a contemporary singer/songwriter sauce.... The acoustic guitar is my main support." Both songs may be heard on Bandcamp and Broekman's own site.